Includes a basic swap out of fixtures for other commercially bought fixtures (Lowe's or Home Depot) with very little change to plumbing locations. The cabinets are standard, builder grade with builder grade granite and tile. We do not buy cabinets, granite, or plumbing fixtures from Lowe's or Home Depot, so we may not be a good fit for this level of bathroom. 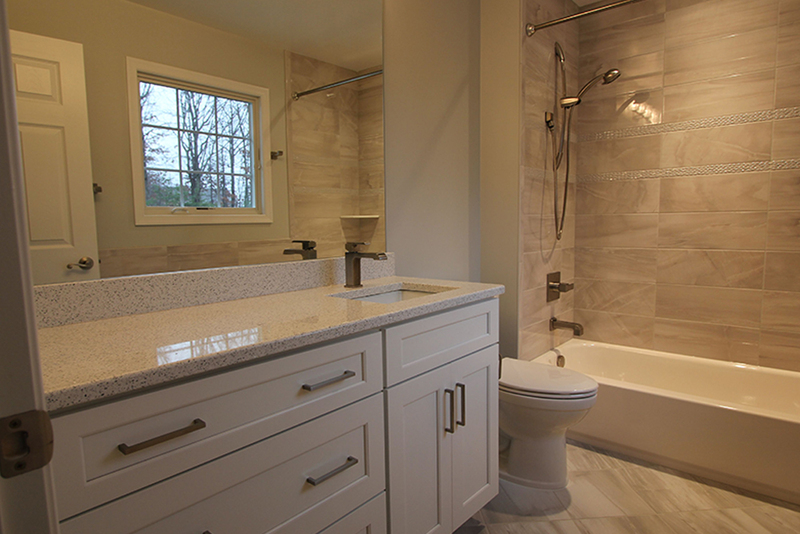 This Level of bathroom upgrade will include good quality fixtures provided by one of our approved supply houses. The showers will have ceramic floors and/or benches, tile up to the ceiling, frameless shower doors, quality vanities and countertops. Without question, this will be a beautiful bathroom that everyone will be proud of. This is by far our favorite bathroom to build. We get to break the mold and create something that no one else has. Spa showers, furniture piece type vanities and exotic tile and granite are used to create a bathroom that is ready for a magazine cover. You will certainly be the envy of friends, family, and neighbors.